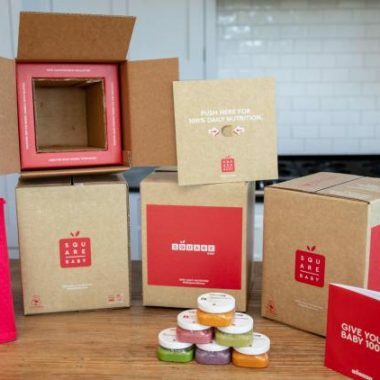 Corrugated Fruit box delivered to your doorstep « Corrugated Of Course! Boxes filled with fresh seasonal fruit delivered to your home every week! 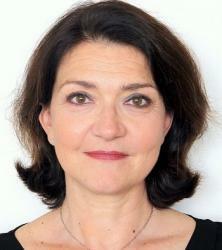 Hello Fresh is an International online fresh food supplier shipping directly to consumers. The company uses corrugated boxes that are fully recyclable, protect the fragile contents inside and are attractive! 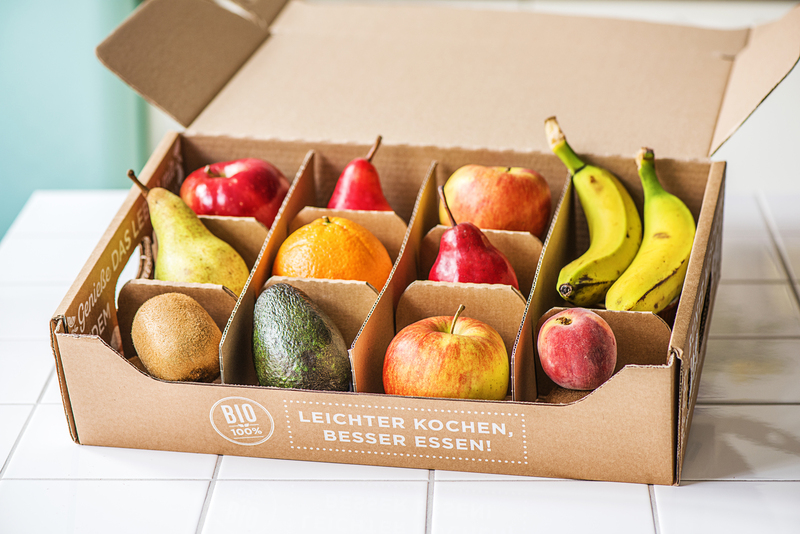 One of the boxes on offer in Germany is a fruit box. The boxes come in 3 sizes and all fruits are organic and seasonal. 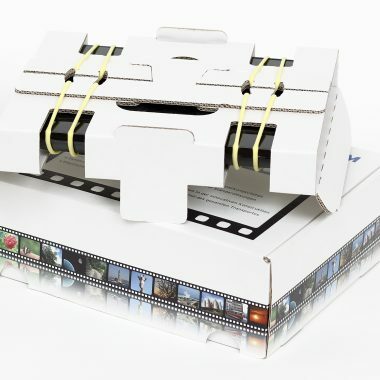 The box has a tamper-proof seal lock that is glue and tape-free. The receiver can see that the packaging has remained intact during transport and the seal can easily be opened without a knife. 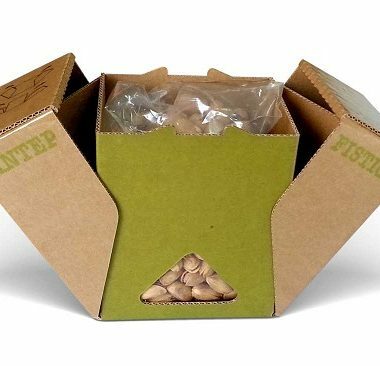 A nice feature of the packaging is that the shipping box can be used as a tray to present the fruits at home on the table or counter as the lid has a perforation so that it can easily be removed.